Clear the all the jellies(12) and reach 40000 points complete the level. This level have 50 candies with almost 12 double jellies and could be hard to complete or get three star score. To break jellies fast you should try to break candies that are near to jellies or try to make special candies where you can get chance. You should also try to make special moves by combining special candies as you have just 22 moves and combing like striped candy with wrapped candy will break 3 rows and columns or you could make other special moves to break jellies furiously. 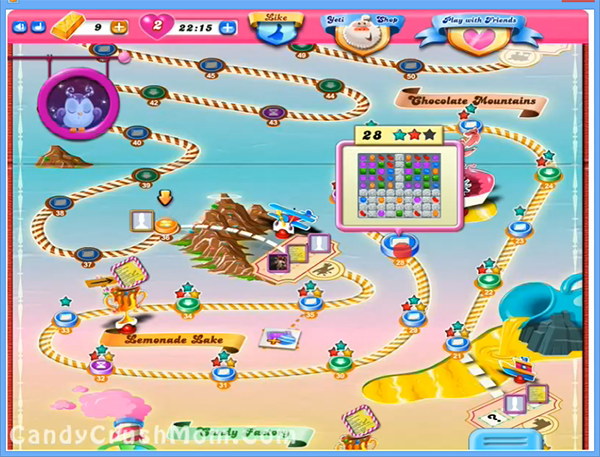 We completed this level with 118800 score by just focusing on making special candies and luckily we got so many same color candies and it end we got fish booster that eat some candies randomly that help to add three score points in board.